It might, but only because it is a five door hatch. That is where the similarity ends. The Suzuki, and most other shopping trolley cars are great for peddling around the mall and out with one or two friends. Ask them to do anything else, and that is where you will find small hatch weaknesses. Not the SKODA Fabia RS. Whilst you will find many criticisms, in the press, of the hard plastic materials in the interior and odd looks, you will also find much praise for it’s stealthy performance, schizophrenic pointability, versatility, and pricing. Pricing is an important factor in choosing the Fabia RS. Because at the end of the day, it is the budget version of the VW Polo GTi. 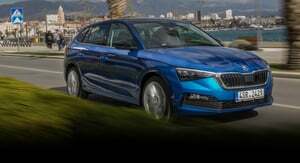 In the Volkswagen Group Australia (VGA) stable SEAT is the budget brand, followed by SKODA, VW, and Audi. 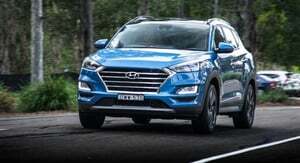 Each have almost identically specced models, that increase in price on the basis of comfort and performance inclusions. 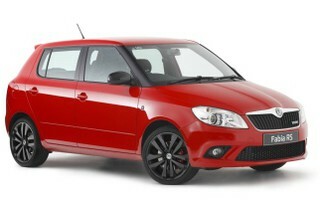 The Fabia RS was originally priced at 32,990 and the Polo GTI at 33,990 in the dealers. But because the Polo is more popular, discounts were hard to find. The SKODA was relatively unknown when we bought ours, so we got all the performance bonuses by compromising SLIGHTLY on less lush interior finish, AND SAVED 8000 dollars. Driving the Fabia RS is a varied experience. 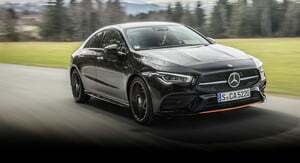 Plonk the DSG in auto and drive it like a shopping trolley, getting around 4.9-5.5 litres/100km. Impressive figures that compare well with hybrids like the Toyota PRIUS. A flick of of the wrist puts the car in manual shift, and you can shift up or down the responsive powerband with either the gear lever or steering wheel mounted paddles. Just like owning an Audi A! with less leather and more lather. 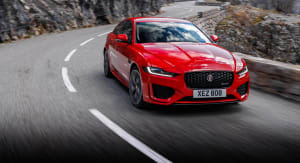 One notch down from Auto is Sport mode, where the gearbox will upshift and down shift more aggressively, allowing you a spirited drive with minimal input. Two years in, and we still love both our Fabia RS models with a passion. The Fabia RS a package deal. While you might complain about little cheaper finishes and no sat nav, there is no denying it has all the performance of the Polo GTI, and even more than most of the Audi A1 models, while saving you bundles of cash. Looking to buy a Toyota 86? It may be RWD to the Fabia’s FWD, but I love how nice the 86 looks on the race track, in my rear view mirror. Yes, this Fabia RS LOVES the track, and minimal modifications and some driving ability sees it keeping up with, and in some cases seeing off cars costing twice as much, and more. 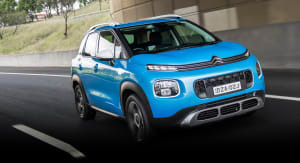 Connectivity is excellent, even without sat nav, you get easy Bluetooth connections, with steering wheel controls for phone calls, and voice activation, Connect your music device with the Bluetooth, or just use an AUX lead which is much easier and straight forward than paying for the optional MDI unit. Like most hatches, the rear seats fold down to create massive storage. There is also cargo hooks for the shopping, a multi level parcel shelf and oodles of little stashes in the dash and under the seats to secrete things out of view. A full size spare (15 inch) ! no silly space saver here. Headlights that corner! Love it! Get one. Get two. Drive it like a car is meant to be. You will NEVER regret it.